It’s good to be Jay Z.
Yvonne Lardner, a spokeswoman for Sovereign Brands, said the company has had a “wonderful relationship” with Jay Z. “He became interested in owning the brand and made us an offer we simply couldn’t refuse,” she said. This piece of ‘news’ isn’t actually new. 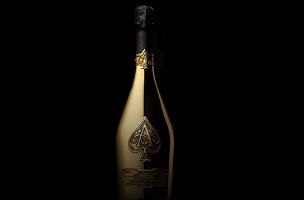 As I reported in my Jay Z biography, Empire State of Mind, the Brooklyn-born mogul has had a financial interest in Armand de Brignac since its inception – helping boost his net worth to $520 million, by Forbes latest estimate – as the $300-per-bottle champagne has become one of hip-hop’s favorite brands. There’s lots more background and detail from the author on how he separately had a hard time nailing down this bit of Jay Z history. We thank him for showing us what Jay Z has really got in this case.